SOURIAU - SUNBANK Connection Technologies has been involved for several years in the production and improvement of aeronautic European standard signal contact specifications. A reliable and robust solution: all contacts definition (split or multilam contact and gold or silver plating) and manufacturing process (machining, stamped and formed, full and selective plating) are qualified by an independent organism (AECMA). A proven solution: our contacts are used on latest major European airframe programs or industrial activities. REACH solution: all contacts and manufacturing process are conforming to the REACH regulation. 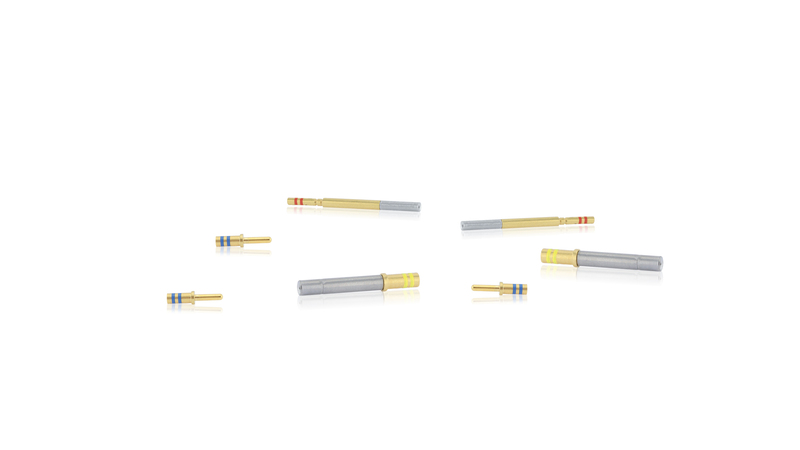 Signal contacts for industrial connector series include: RC-M/RM-M machined contacts, SC-M/SM-M stamped and formed contacts, RMDX/RCDX coax contacts, RC-W/RM-W machined contacts, SC-W/SM-W stamped and formed contacts, 838 contacts as well as push-pull contacts (JBX series, JKX series, JDX series).